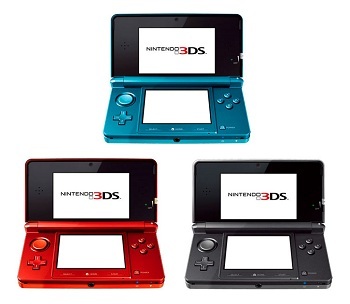 Nintendo says color options are limited by American on-the-shelf policies at retail. Gaming hardware in North American can, at times, be lacking when it comes to color options. For the most part consumers can probably expect their hardware to come in some boring variation of black or white. While it might be easy to blame console and handheld makers for their seeming Model T approach to color, the real issue, according to Nintendo, may lie with the way American retailers sell hardware. "It really comes down to the nuts and bolts of how we manage our [stock keeping units] at retail, and how we do it in a way that's effective for us and effective for our business partners," said Reggie Fils-Aime, head of Nintendo of America. According to Fils-Aime, retailers in the United States have more of a tendency to stock hardware on shelves so consumers can look at them up close. Japanese retailers meanwhile keep hardware locked up behind the counter, making it easier to stock a wider variety of colors. "In our [North American] market, it's all out there on the shelf. When you visit our retail, if I had to try to have 25 different SKUs out there, Wal-Mart would kill me," said Fils-Aime. There are exceptions to the rule, of course. Special edition versions of consoles occasionally rear their colorful heads in America, a trend Nintendo could be investing in more itself in the future. "What we're seeing is that if we do this right, we can have a more limited quantity, have it sell through in a fairly short period of time, and use that as a way to satisfy the consumer's desires to have a range of different SKUs and some special hardware."